In its bid to overtake its largest rival, Walmart announced a strategic partnership with Microsoft on Tuesday. According to the biggest US retailer, the company inked a five-year deal with the tech giant to speed up its digital transformation for a faster shopping experience online. Walmart will be utilizing an array of Microsoft’s cloud solutions as its preferred provider. Under the deal, Walmart will use Microsoft’s machine learning and AI technologies to optimize the retailer’s entire supply chain and improve its delivery system. With the Internet of Things platform on Microsoft’s Azure, the retailer can better manage which products should go on the shelves from the ones that go into the refrigeration units. This is one way to reduce costs in operating its physical stores. Utilizing technology to assess operations seems to be one of Amazon’s strong suits, one that Walmart appears to lack. Over the past few years, the online retailer has developed its cloud computing business, Amazon Web Services, to become the leading cloud service provider. Microsoft, however, remains second in terms of market share with Azure, but still a worthy alternative for other companies. Although Walmart has developed its own cloud computing operation, it wasn’t as extensive as Amazon’s or Microsoft’s. The retailer only began using Azure recently when it acquired Jet.com, whose operations ran entirely on Microsoft’s cloud platform. Walmart has been more open to the idea of working with tech firms to enhance its systems and improve shopping experience. 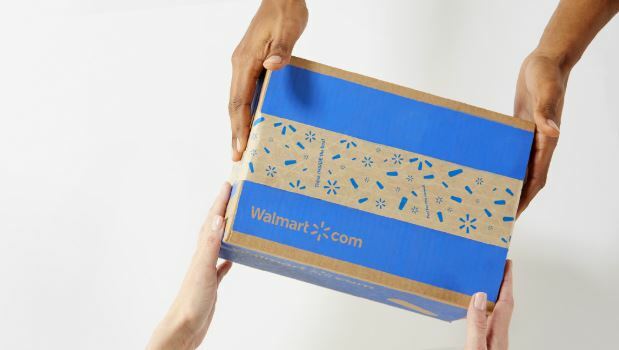 Last year, it teamed up with Google by adding some of its Walmart.com products on Google Express to allow for voice-ordered purchases, directly competing with Amazon’s Alexa. And for its back-to-school offering, Walmart has also launched its app for faster location of items in-store. Microsoft, on the other hand, has been teaming up with other brick-and-mortar retailers, such as Macy’s and Marks & Spencer, for better retail experience using artificial intelligence. Despite the strategic alliance, Walmart won’t be using the tech giant’s services for its planned cashierless stores – another area where Amazon has taken an early lead with its Amazon Go store in Seattle. Microsoft, however, is still keen on developing hardware and software solutions for automated grocery stores, even if it’s not for Walmart.